I love everything theater. Acting, casting, directing, staging, lighting, blocking… you name it. Always have and always will. When I saw this huge box my imagination came to life. 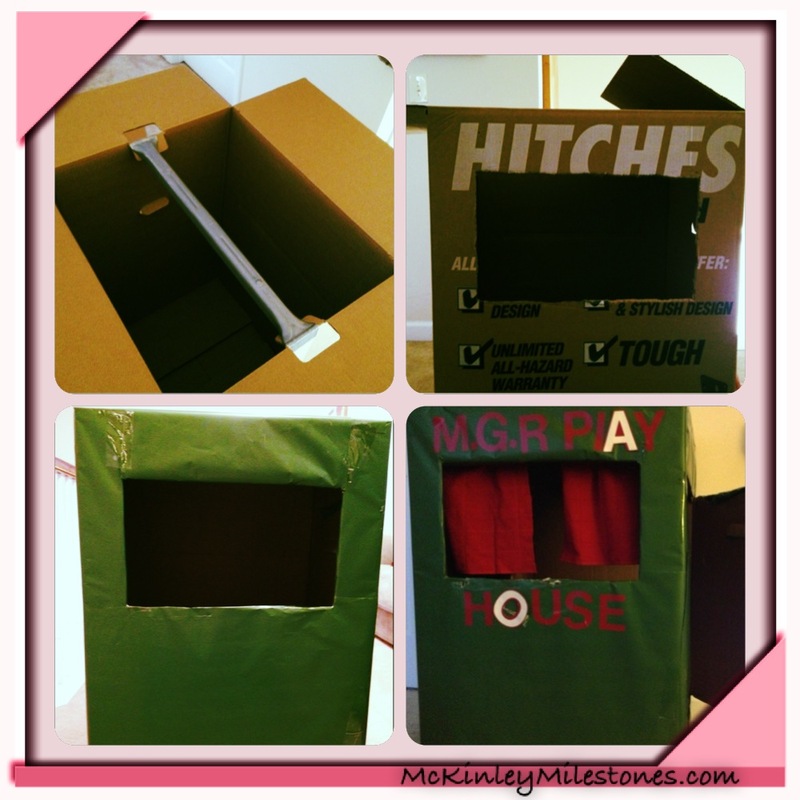 I thought, this would make an awesome puppet theater. 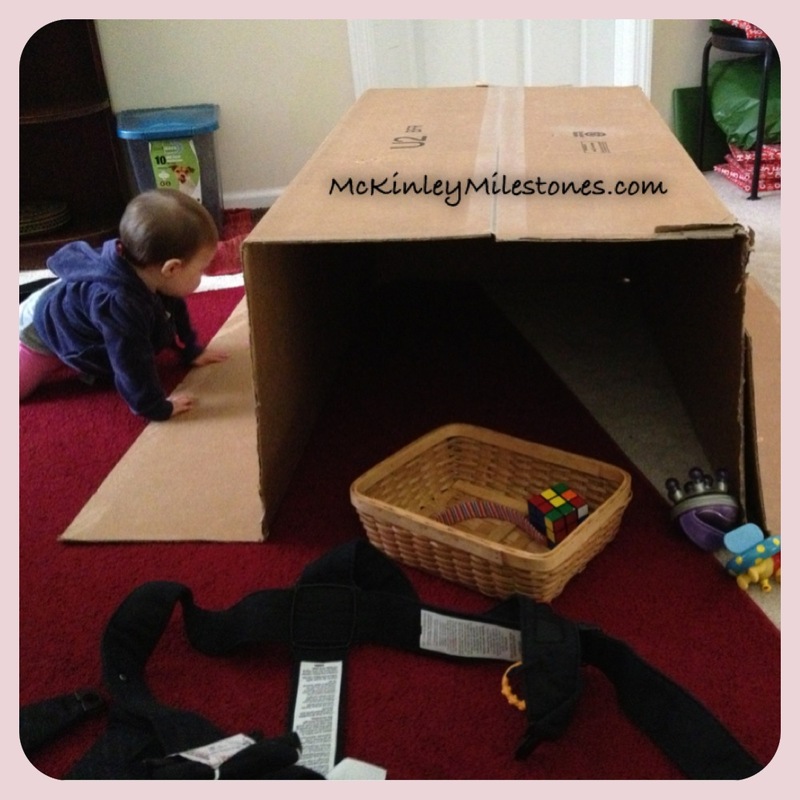 Step 1: Find an old box from the basement, from a big shipment, or a moving box. (My mother would insist I tell you to use a dryer box). Step 2: Cut out a rectangle in the upper half/ front of the box. Step 3: You will have to cut a door on the side of the box. (Look to the above photo lower right-the door is on the right side). Step 4: Paint the box or use all the extra wrapping paper from the holidays and wrap the box. That’s what I did anyway. Step 5: Inner curtains: a) you can use an old wire hanger, or if you have a moving box like I did- you can use the metal rod. You could use anything that’s long and sturdy enough to put into a box and hang light weight curtains on. You will need to put the rod close to the top of the cut out rectangle on the inside of the box. b) I used an old hand drying bath towel and cut it in half. You can use any fabric you wish. Step 6: Attach curtains to your rod using old shower rings, or even use a hot glue gun.